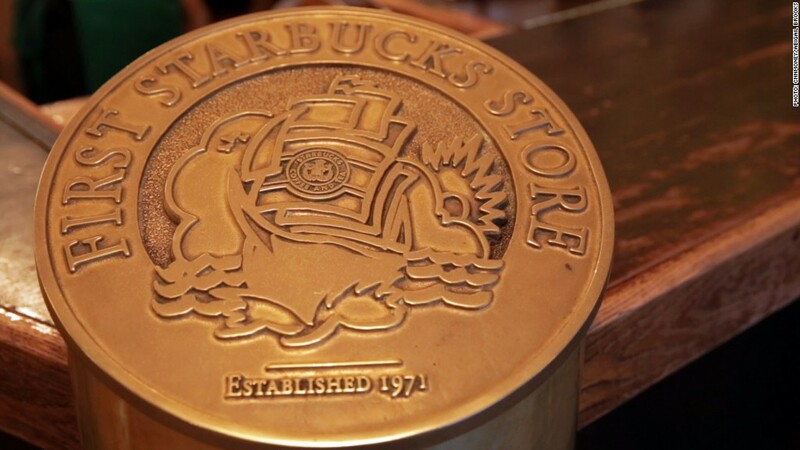 Can Starbucks keep growing at breakneck speed without Howard Schultz as its CEO? That's the big question, after Starbucks posted disappointing sales growth in the most recent quarter on Thursday. Comparable store sales were up just 2%, compared with a 4% increase in the same period last year. Starbucks (SBUX) shares fell 7% after hours. This is the second set of earnings from the company since Kevin Johnson took over as Starbucks' top executive in April. Schultz, Johnson's predecessor, is something of a legend. He stepped away from the company's top job in 2000, only to be brought back in 2008 to help Starbucks weather the financial crisis. Under his reign, the company's stock skyrocketed. To be fair, Johnson inherited a tough retail environment, with declining foot traffic at malls and shopping centers. So far, Johnson has made numerous efforts to slim down Starbucks' business. Starbucks announced Thursday that it's ditching its Tazo tea brand in order to focus on its other tea label, Teavana, instead. Unilever (UL) has agreed to acquire Tazo for $384 million, the company said. "We continue to see significant growth in our tea business through our Teavana brand," Johnson said in a statement. "And this transition supports our strategy to elevate the premium tea experience for our customers." In October, Starbucks shut down its online store to concentrate on its physical stores and mobile app. On the call, the company also played up its efforts to grow in Asia -- particularly in China. Johnson pointed to an upscale roastery and tasting room that's opening in Shanghai next month, which he said will "elevate the Starbucks brand" in the region.